Okay, so winter’s still clinging on (argh! ), but that doesn’t mean we can’t dream about spring…the promise of warmth, even the rainstorms. Perhaps this will help, too: the cover for Issue 13 (Spring 2014)! Cover image copyright (c) Stewart Melton. And check out the world-class line-up in this issue! We are so excited for Issue 13, and hope you will be too. It is slated to release April 1, 2014—mark your calendars! Rocco Versaci was my Creative Writing teacher! Since taking his class, I published two books and am editing the third, a novel. How can I buy a single copy of the issue in which his story appears? Sarah – Soon! 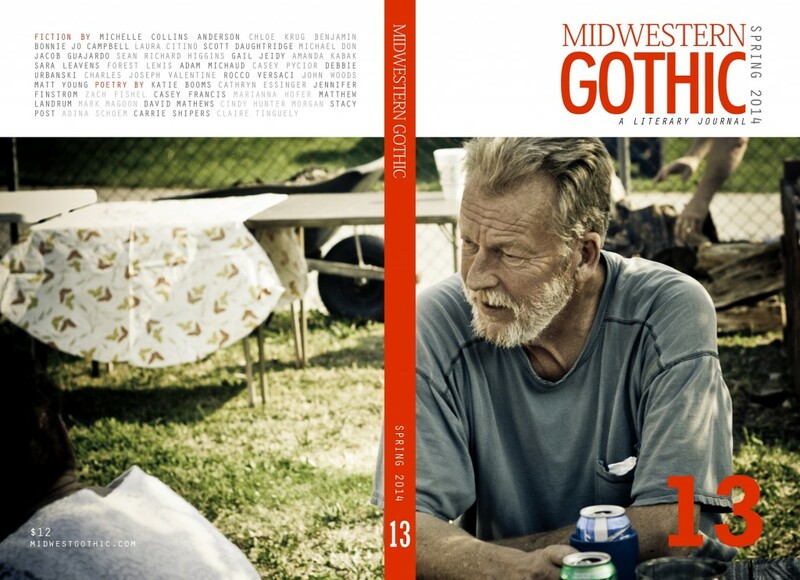 The issue comes out on April 1, you can check the Issues page (http://midwestgothic.com/issues/) or subscribe to one of the options in the upper right – that way you’ll for sure not miss it when it’s released.